The Dog Life Jacket With Chin Float for Medium and Large Sizes is by Sierra Dog Supply. This listing is for Medium and Large size dogs. For Smaller Size Dogs See Listing Below. This is a durable and well made item. It is made for dog swimming safety. 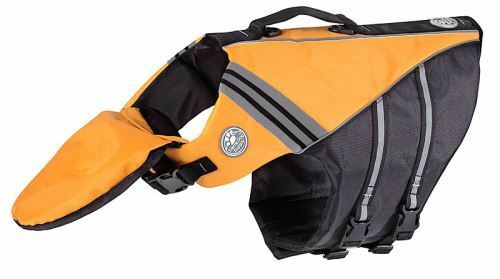 The Dog Life Jacket With Chin Float has an attachable chin float that helps to keep the nose out of the water - rounded and cupped for better fit. 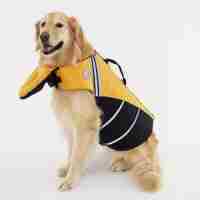 The dog life preserver has a bright contrasting color with reflective trim throughout that can be easily spotted in rough water. Take note of the low profile handle with D rings on the back to help lift the dog easily out of the water. 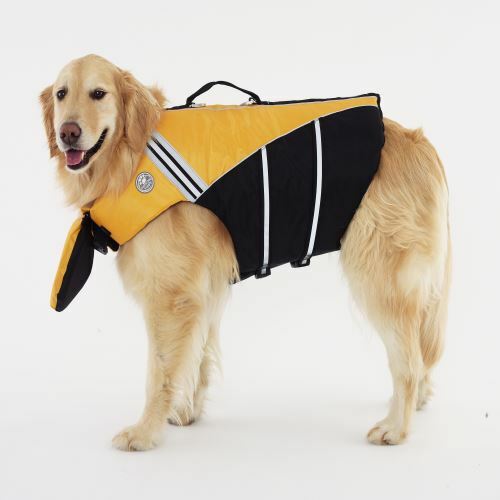 Under the durable 1680 denier nylon are variable thickness buoyancy cells to keep your pooch afloat. Duraflex, high-end slides and buckles, are used for added safety and strength. If you are looking for this item for a smaller size dog, please see our listing below. Jacket length is neck to base of tail. Dog girth is around the widest part of the chest. If we are out of stock of the size that you need, please contact us about special ordering! 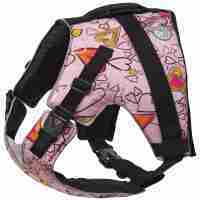 This Dog Life Jacket With Chin Float by Sierra Dog Supply is very well made. Plus the chin float is a nice touch for helping the dog keep his snout out of the water. And don't forget the handy handle on the back to help lift your dog back in the boat or on the dock.